Open Studios Weekend 2018 opens with a party on Friday 22nd June 6 - 8pm continues Saturday 23rd June 12pm onwards and Sunday 24th June 12 - 6pm. No need to worry about committing to a term of classes, visitors can just turn up and have a go. Led by Kingsgate Workshops' director, innovative contemporary curator Dan Howard Birt, this tour will give visitors a behind-the-scenes look at some of the artists in Kingsgate who are most active in the contemporary art scene. Booking opens soon and spaces will be limited so make sure you keep an eye out! Did you know there's a violin restoration workshop at Kingsgate Workshops? And paper cut-outs of an astonishing complexity are fashioned in Studio 2. We'll show visitors all this and more on the Hidden Gems Tour! What was the building originally used for? 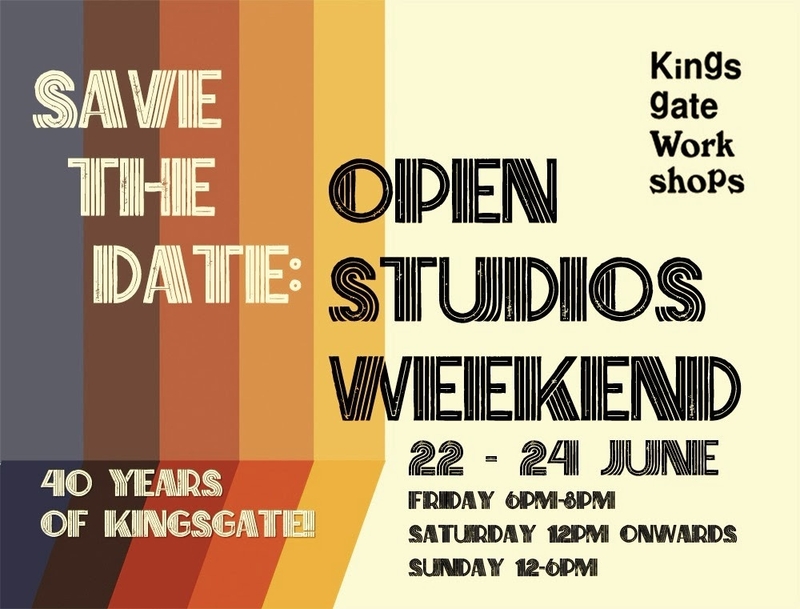 How did Kingsgate Workshops happen? How has it survived the property boom and studio shortage in London? Find the answers to these questions and more in our series of talks from people who were there at the start of Kingsgate's journey. To fuel you up for your odyssey around the studios, tasty treats from food trucks will be available in our newly expanded outdoor space. Over the next month or so new activities and full booking details will be announced - keep an eye out on our website.